It’s almost time for RPS to once again attend the country’s leading waste management event. Hosted at the NEC in Birmingham on September 12th and 13th, the RWM Exhibition attracts more than 20,000 visitors and 500 exhibitors every year. The exhibition is the perfect place to talk about how we can build a more resource-efficient future. It also gives us the opportunity to chat face to face with current and potential customers about how we can collect used pallets as well as supplying both reconditioned and new ones. We will be advising on how, through encouraging the government’s legislation of reuse over recycling and recovery, we can help those in the packaging waste sector turn something formerly considered waste into an asset. This is exemplified by our own work. Of the 1.13million pallets we handled through our depot and national network during 2017, RPS managed to send 84.3% for reuse. 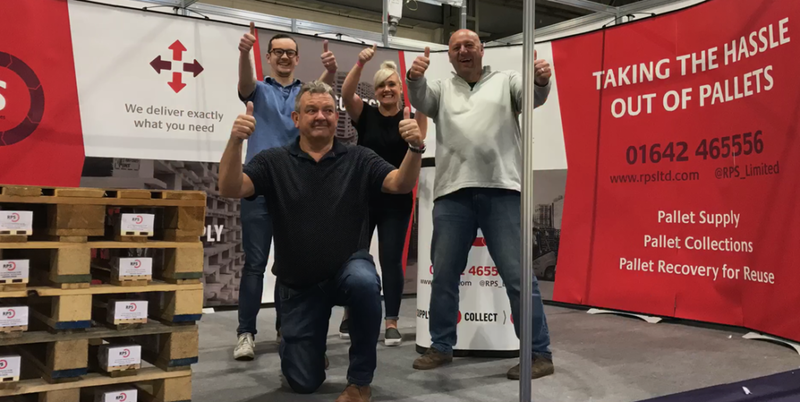 Visit us on stand 4H32 in the Recyclers and Reprocesses Hall where our team will be on hand to discuss how we can help take the hassle out of pallet collections and supply. And back by popular demand is our remote-controlled pallet game with some exciting RPS prizes! To guarantee a meeting use our online form to book a chat with our expert team. Are you heading to the exhibition? Tweet us @RPS_Limited!